Capitol Hill has more colorful community gardens than any other neighborhood in the city. Three gardens are part of the DC Department of Parks and Recreation urban gardening program. There is an urban legend that circulates this time of year. It warns enthusiastic garden folks that it takes years, decades even, to get a garden plot at one of the Hill’s community gardens. Actually, for some of the more established community gardens, that is true. Recently, after being on a wait list for 11 years, I finally was offered a garden plot. Thankfully, I had been accepted at another garden during the years in between. Capitol Hill is fortunate to have more community gardens than any other neighborhood in the city. Yes, there are waiting lists, but with more gardens opening, the wait time is becoming shorter and shorter. Some gardens have subdivided some of their larger plots, giving more gardeners a chance. Often new gardeners can be called up for a plot at a community garden in the middle of the growing season. Eliot-Hine Middle School has garden beds ready to plant, along with other areas that need volunteer gardeners this summer. Realizing the growing demand for garden spaces, the District’s Department of Parks and Recreation and the Office of the State Superintendent of Education have joined forces to offer even more opportunities for gardeners to grow their own food this summer. Also, the Washington Youth Garden, located at the US National Arboretum, offers Family Garden Days starting this month. April, it seems, is the time to get signed up for a summer of fresh air, dirty hands and delicious vegetables and herbs. If you have never gardened, you may ask what this excitement is all about. Nothing beats flavor and nutrients packed into freshly picked fruits and vegetables. Once picked, produce begins to lose moisture and nutrients immediately, so if you really want fresh, nothing beats growing it yourself. Many studies show that 30 minutes of gardening has amazing health benefits, including giving your body a boost of Vitamin D from being out in the sun. A study published in the Journal of Alzheimer’s Disease found that various physical activities – gardening among them – can cut the risk of Alzheimer’s by 50 percent. It is also important to find ways to get your children involved in gardening. You don’t want your child to be the one that thinks peas and corn come from the frozen food aisle. Especially for parents striving to get their kids to eat a healthy and balanced diet, gardening can be a great tool. But it’s not just getting the kids to eat the vegetables they grow. Studies show that kids who participate in gardening projects score higher in science than those who do not. The act of gardening itself, getting active and dirty, actually strengthens a child’s immune system and overall health. Gardening also provides a place to teach responsibility and get away from electronics and teach responsibility. Meeting new people who share the same interest as you is a bonus in gardening. 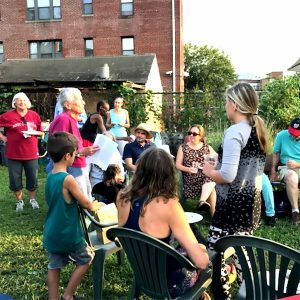 Many of the Hill’s community gardens host garden get-togethers throughout the season, where fellow gardeners eat, drink and share their tales of woe and success. A full list of community gardens in our area can be found at http://dcgardens.com/community-gardens, and contact information is available so you can set up a visit to the garden and get your name on a waiting list. Peabody Cluster Schools is participating in a new summer program by DPR and the Office of the State Superintendent of Education, where volunteers will keep their gardens growing. The Department of Parks and Recreation (DPR) and the Office of the State Superintendent of Education (OSEE) are initiating a program that seems like a great win-win. 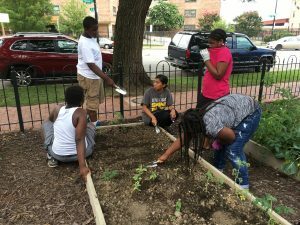 Twenty schools and a few community gardens that have established vegetable gardens are encouraging DC residents to work in the gardens over the summer. In some cases, the crops have already been planted by the school children, and all volunteers will need to do is general maintenance such as watering and weeding. In return, the volunteers are welcome to pick the ripening vegetables. In other gardens, gardeners may be starting from scratch. Ullery hopes to see community members continue to support the gardens after this project ends. One participating Capitol Hill school is Eliot-Hine Middle School, located at 1830 Constitution Ave. NE. The participating schools are seeking volunteers to grow crops in the beds of their choice and assist in maintaining the beds throughout the year. In addition to the established beds, there are sections where additional gardening can be done. Peabody Elementary School is requesting three volunteers from June 15 through Aug. 27. This garden needs to be tended to during the week, as the schoolyard is not available on weekends. Some of the gardens are on an irrigation system, but others require hand watering and weed pulling and possibly some occasional harvesting or planting. You can read through the list of participating schools, the gardening needs and hours required at www.GrowingFood@dc.gov. The link to signing up to be a summer volunteer can also be found at this site. Registration deadline is April 20. Many gardens host monthly get-togethers like this one at Kings Court Community Garden last September. DPR has gardens across the District and more than 30 community gardens under its jurisdiction. 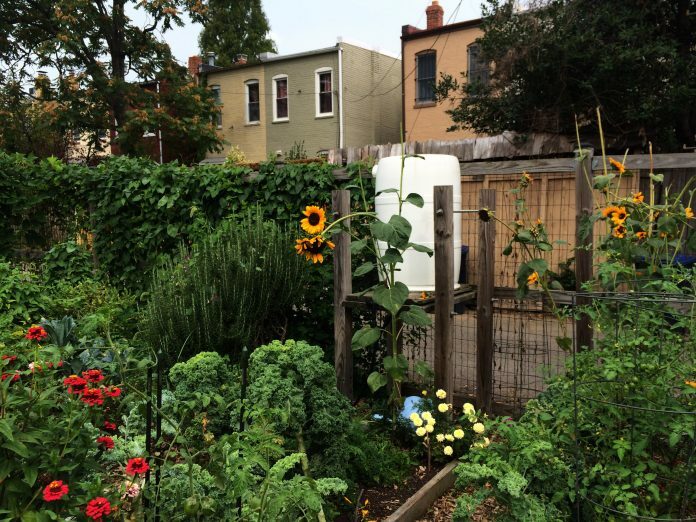 In Ward 6, DPR manages 130 plots in three different gardens: Lovejoy Garden at 12th and E streets NE, Southwest Garden at K Street and Delaware Ave. SW, and Virginia Avenue Garden at Ninth and L streets SE. Each garden maintains its own waiting list and varies in the annual fee collected to defray operating costs. In addition to the actual garden plots, DPR’s Urban Garden division offers 100 free workshops focused on practical urban gardening skills, environmental stewardship and nutrition and cooking education throughout the year. Upcoming classes include Advanced Growing Techniques Certification Course; Urban Agribusiness and Cooperatives Certification Course; Garden Carpentry Certification Class and, in August, a Master Urban Composting Certification course. 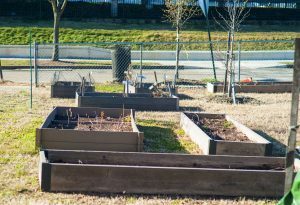 Information about signing up for a class or a garden plot can be accessed through the Department of Parks and Recreation website, www.dpr.dc.gov. Maybe you and your family aren’t ready to adopt a garden plot. Or it is a summer when you will be traveling a lot and cannot commit to the responsibility of weeding and watering for three months. You have a great alternative at the US National Arboretum’s Washington Youth Garden. The Washington Youth Garden is a program of the nonprofit Friends of the National Arboretum and has been teaching children in Washington, DC, about vegetables and gardening since the mid-1960s. Washington Youth Garden’s demonstration garden on the grounds of the National Arboretum is easily found, nestled between Fern Valley and the National Grove of State Trees. A plus is that the garden is well shaded for protection on hot summer days. Starting April 7, there will be a regular Saturday schedule of garden tasks for children and families. Nadia Mercer, head of the Washington Youth Garden, says, “Think garden-themed book reading at 10 a.m., weeding at 11 a.m. and worm feeding at noon.” A sampling of the programs for the next few months includes soil and compost day on April 14, flowers and pollinators day on May 12, and fruits on June 9. The Washington Youth Garden also offers a chance for anyone to volunteer in the garden, which is another fun way to learn about gardening and connect to likeminded folks. The first orientation for this season is on April 7 at 9 a.m., but there are additional training dates on the first Saturday and Tuesday of the month throughout the spring and summer. For volunteering or attending a Family Garden Day, registration is required; a link to get you started can be found at www.washingtonyouthgarden.org. After a cold, windy, wet winter, we are all ready for spring and summer. It isn’t too early to get your plans together. Before you know it, you’ll be harvesting your own lettuce and radishes under clear blue skies, with winter only a memory. Rindy O’Brien has a plot at the King’s Court Community Garden and is former executive director of the Friends of the National Arboretum. Ideas and comments, rindyobrien@gmail.com. 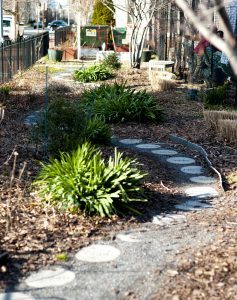 The 1200 Potomac Avenue Community Garden Association (PAGA) is looking for groups, organizations or individuals who would like a free garden plot this year. PAGA is looking for groups or individuals who work with youth, seniors or other communities and would like to use the plot to foster a love of gardening and to build community. There will be four free plots (4 ft. x 8 ft.) offered this summer. 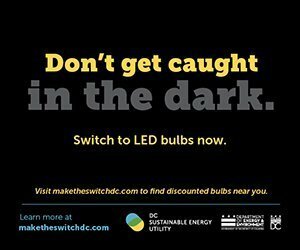 PAGA partners with Dila Construction which sponsors this program and owns the land where the garden is located at 12th Street & Potomac Avenue SE. The applicant granted the free use of the plot must have members of their group visit and work the garden at least six times during the growing season. In addition, the group leader should plan on organizing one community gardening day with PAGA that would involve all members of the garden group. The contact for the group must supply the board with photos and other fun community building anecdotes and be in contact with the garden email list about their activities so all garden members can choose to opt in and participate. The purpose of these free garden plots is to build community with our neighbors. Those interested in applying for a sponsored plot must submit an application of between 50 and 200 words, via e-mail, explaining how they plan to use the plot and engage area residents. Contact: marcihilt@aol.com for more information and to submit an application. Written applications are due by April 25, 2018.